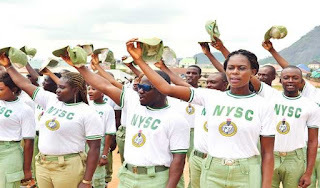 A Corps member, Anthony Ochai, from Benue State, has died of heart failure in Sokoto, the State NYSC Coordinator, Alhaji Musa Abubakar, has said. Abubakar made the disclosure in Sokoto on Friday, during the passing out ceremony of 1,411 corps members deployed to the state under the 2016 batch ”A”, Stream One. He said:” The late corps member was serving at the Government Secondary School, Tsamaye, Sabon-Birni Local Government in the state. ” The deceased was resting after a football match between the various batches of the scheme, suddenly he just collapsed and died. Abubakar further stated that the late corps member hailed from Ugbokolo village, in Ukopo local government of Benue state. The coordinator also said that the remains of the late Ochai would be buried on Friday in his home town, in Benue State. Abubakar further disclosed that 10 corps members had their service year extended by between three months to one year, for abscondment. In the same vein, 10 corps members were given state merit awards, while four others received the Chairman’s commendation certificate. He added that 85 other corps members were given commendation letters for outstanding performance.